Based in Houston, Texas, Edward M. Carstarphen is a board certified trial lawyer with more than 37 years of experience solving problems for clients both in and out of court. class actions involving violations of consumer rights. Senior Fellow: Litigation Counsel of America. 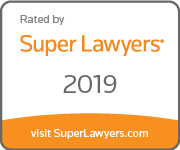 Selected as Texas Superlawyer for Civil Litigation- Defense 2005, 2007 through 2019.